Birthsign Stones grant one of several Greater Powers specific to that stone. These powers can only be obtained one at a time. 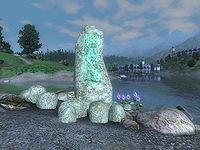 For example, if you acquire Arcane Well from the Atronach Stone and then use the Lady Stone, your Arcane Well power will be replaced by Lady's Warding; you cannot have both. 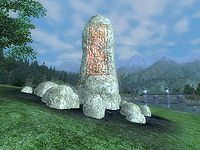 However, you may switch between Birthsign Stone powers as often as you wish, and using a Birthsign Stone will not replace the birthsign and birthsign power chosen at the beginning of the game (e.g., if you chose The Shadow at the start of the game and then use the Atronach Birthsign Stone, your character page will still list The Shadow and you will retain the Moonshadow birth power in addition to Arcane Well). This page was last modified on 2 April 2018, at 10:08.